Complete with Makita B-07967 blade 190mm, 12 tooth. Can be attached to dust extractor. Supplied with a Type 4 Makpac case. 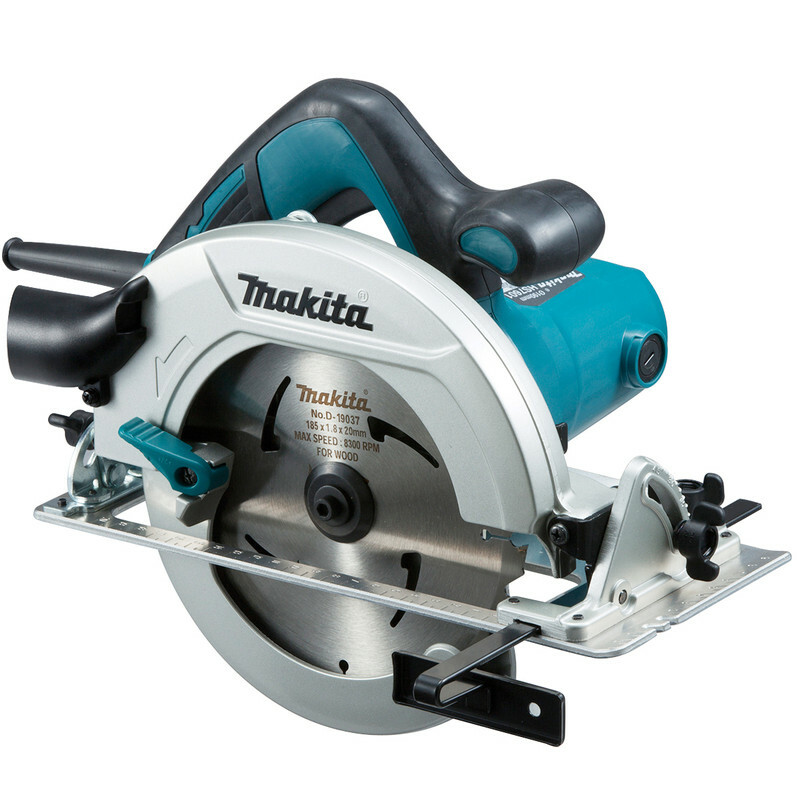 Makita HS7601J 1200W 190mm Circular Saw 240V is rated 4.2 out of 5 by 9. Rated 5 out of 5 by Pug1 from Great tool . Nice and smooth to opperate. Got it last week and worked a treat on kitchen worktops. Using a 40 tooth blade. Rated 5 out of 5 by Toad of Nottingham from good quick service and exellent product After searching for which saw to buy this seemed to be one of the best for a DIYer like me. Saw is excellent and service was very quick as usual from Tool Station. They are always helpful on the phone, good price and quick delivery. Rated 5 out of 5 by DIY Novice from Good price & good quality My first ever circular saw as i'm a novice DIYer. I looked through the websites as you do pondering what price might be a good blend between quality & not spending hundreds like a tradesman would need to. I've now chopped lovely straight quick cuts for my shirting boards & even done some very good mitres for the corners where the 45 degree slant comes in very handy. i'd say this is a good product that feels good quality in the hand. its heavy enough to feel its made well but no need for a muscle man to use it as a dumbbell. Rated 4 out of 5 by nogginthenog from Lightweight but powerful. Bought this to replace old circular saw which has died from cutting oak. This saw is half the weight but seems to cut effortlessly. Hopefully will be just as reliable as other Makita products i have owned. Rated 1 out of 5 by richie36 from hard to use if left handed Like on cordless makita tools they have the saftey switch on both sides. Not so with this saw. Why change the button configuration! Returned the item.